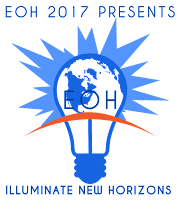 The 2017 Engineering Open House (EOH) at the University of Illinois is next weekend - Friday March 10th and Sunday March 11th. 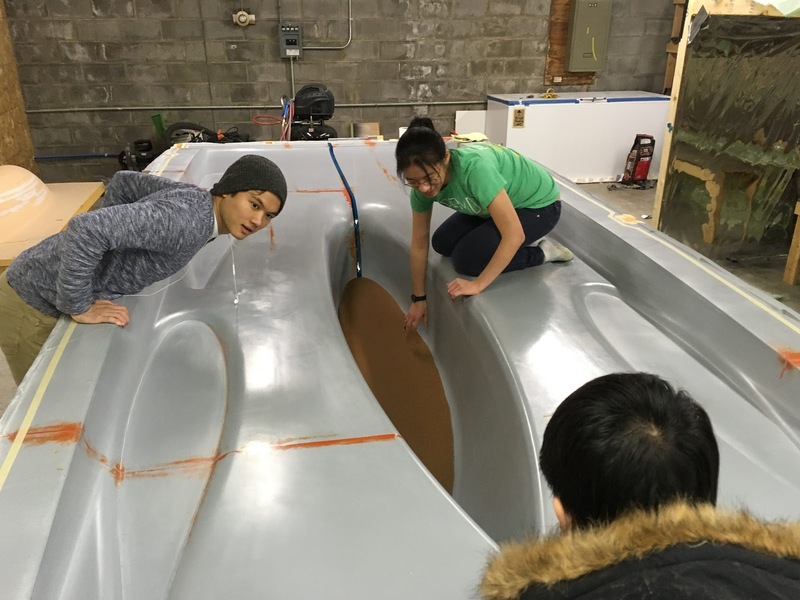 Illini Solar Car will be there showing off our bottom shell (which you can read about below), our nearly completed electrical system (including our custom built Lithium-Ion battery box), and a completed solar module. We will have some hands on demos as well! If you are coming to EOH be sure to stop by! Watch on social media for an announcement about our location later this week. 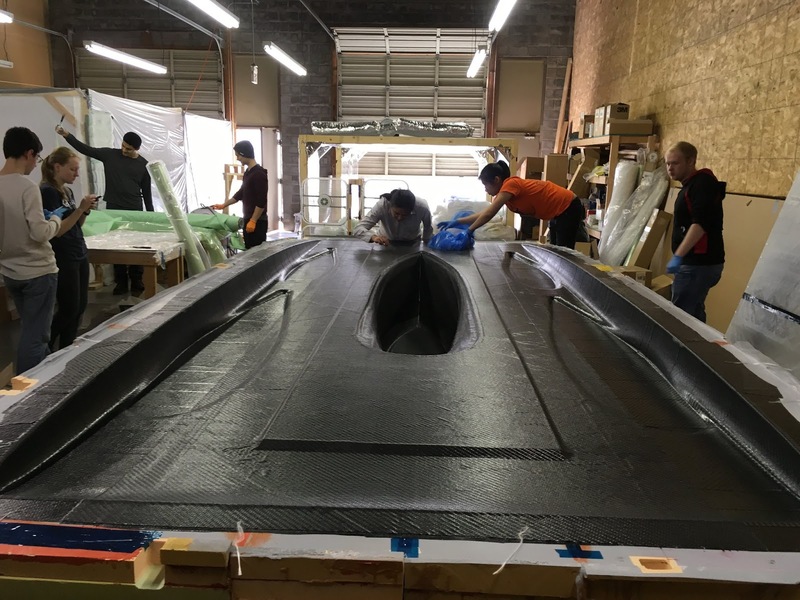 At the beginning of February, Illini Solar Car gathered up its forces to start the layup of the bottom shell with carbon fiber prepreg. Members across all sub teams pitched in to spend their evenings massaging the car into being. 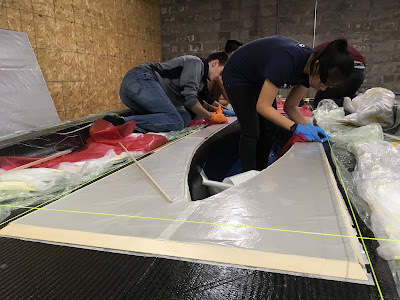 Step 1: Cut the many Carbon Fiber sheets needed to make the shell. Thanks to Gurit for supplying the prepreg! Mapping out the staggered ends of each ply of carbon fiber in each overlapping region. 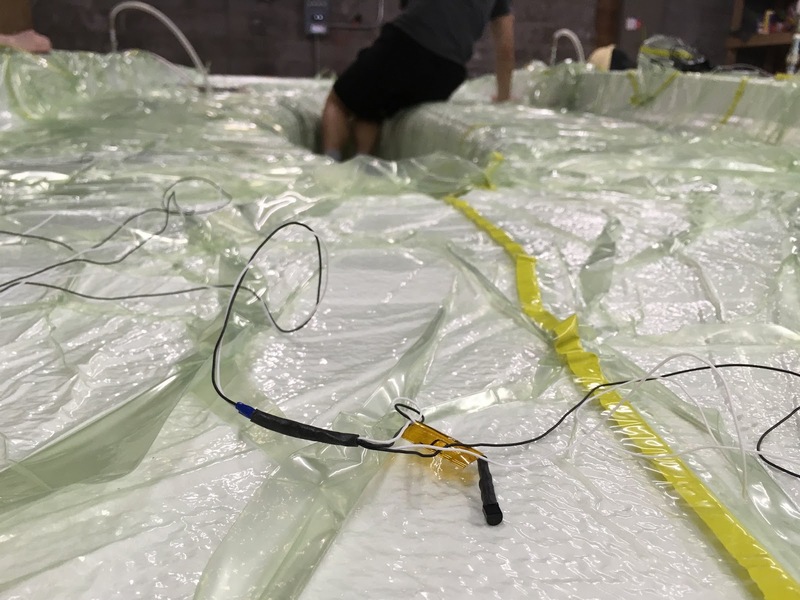 Test fitting the honeycomb core into the bottom of the driver's compartment. Thank you to Plascore who donated the honeycomb core! Laying the film adhesive (donated by Patz Materials and Technologies) onto the honeycomb core. Balsa triangles were placed along the edge of the honeycomb core to provide a transition from areas with the core to areas without core. 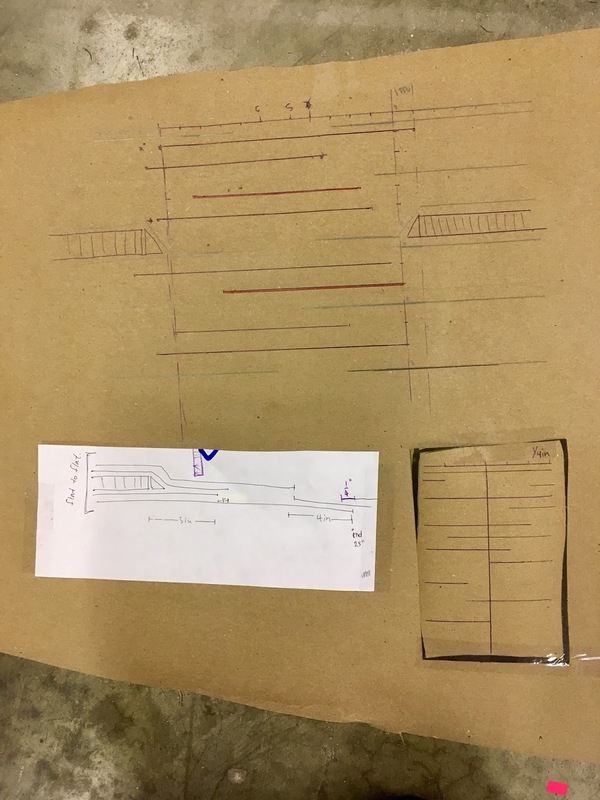 The film adhesive was used to connect all the pieces. 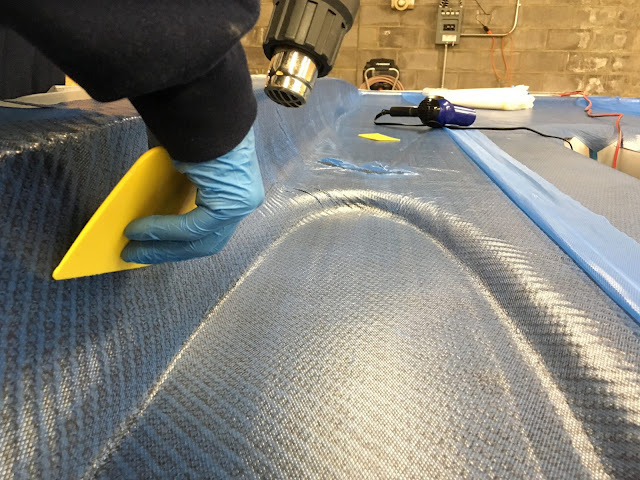 As the carbon fiber was being laid it was important to be meticulous in removing any air bubbles or dust. This made for many long nights just to keep on schedule. Pressing down out the air bubbles and using the heat gun to make the prepreg stick and conform better to the mold. It was 18F that night :O So cold. 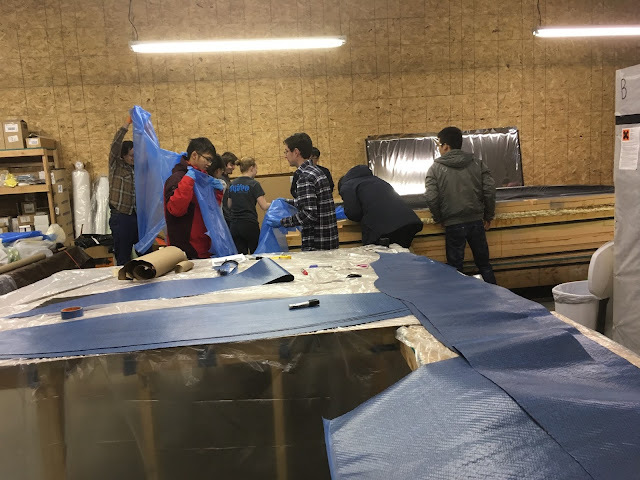 Checking the mold for debris, air bubbles and other imperfections to fix prior to vacuum bagging and curing the molds. In order to cure our carbon fiber body parts they must be vacuum bagged and heated for 80°C for many hours. In order to do so we build our own large oven a few months ago. 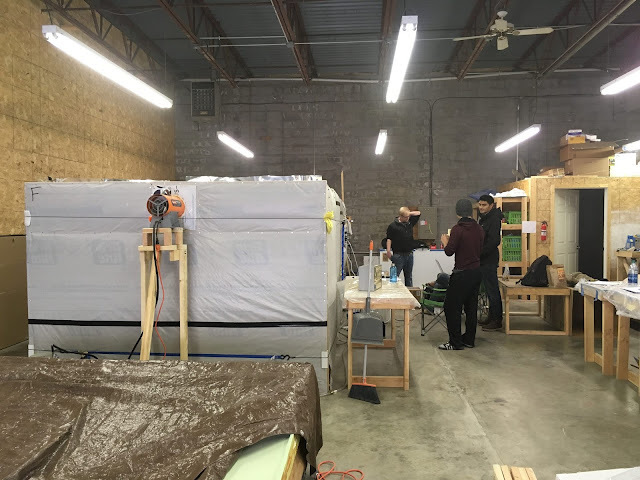 We’ve already tested the oven several times for heat distribution. The data showed the driver compartment was cold spot. To solve this problem, a high temperature blower was added above the driver compartment to draw air from hotter areas in the oven to blow air down into the driver compartment. 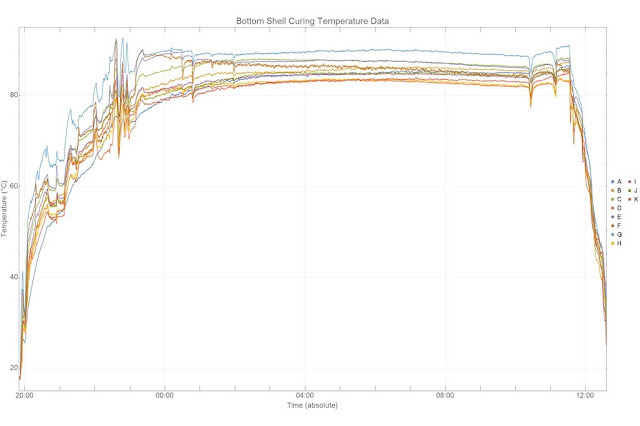 The graph of temperature data points at eleven locations within the oven over our 12 hour cure time. You can see two dips near the end when we had to replace the propane tank on each of the two heaters. One tank wasn't quite enough to get the oven to over 80° C and keep it there for 12 hours. The average temperature difference between the warmest and coolest location was 6° C.
Our oven with the bottom shell curing inside. Thanks to all our members who took shifts to monitor the oven. The curing went from 11pm to 11am! 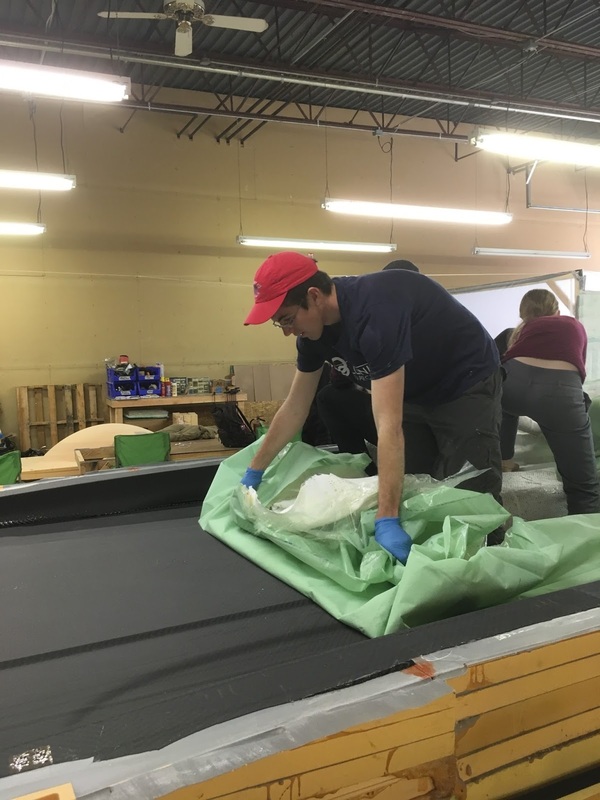 Removing the vacuum bag after curing. 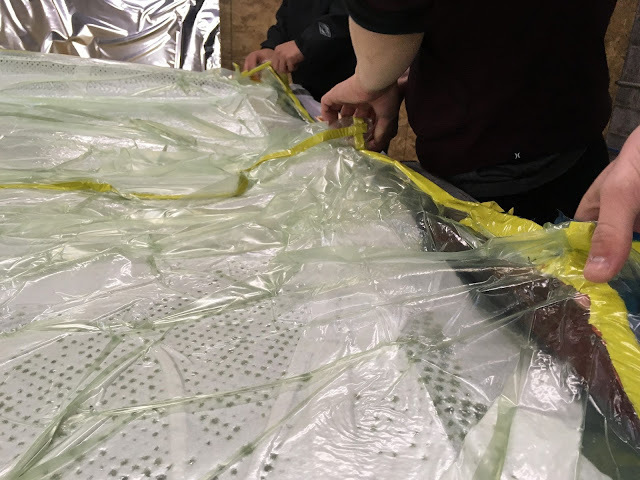 Excess resin from the carbon fiber was drawn through the perforated peel ply (like a big piece of paper) and was soaked up by the breather (the white fabric). Removing the peel ply and breather from the shell. Thanks to Airtech for donating all of the vacuum bagging materials! The bottom shell will be the most difficult carbon fiber part of the car body to complete. It was a big milestone to successfully get it done! 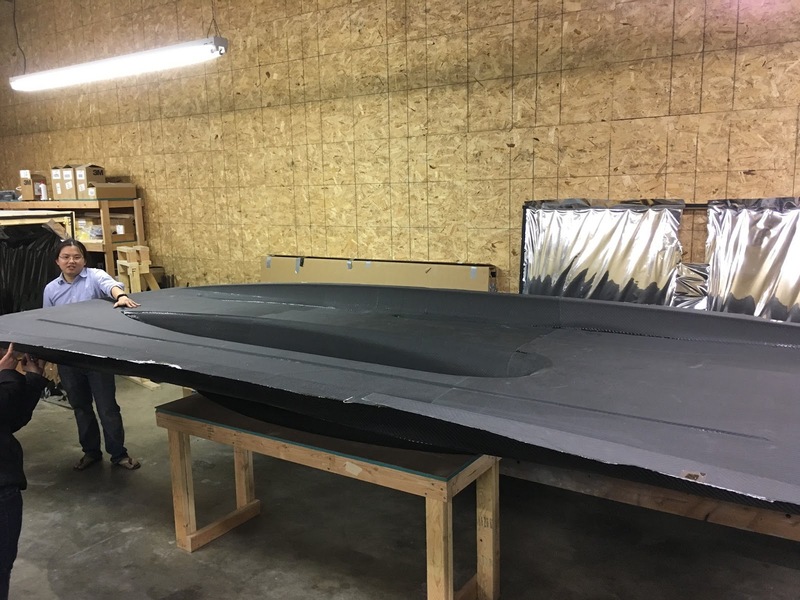 It may look rough around the edges (since they will be cut to shape around the edges once the top shell is fit to it) but it is the first tangible piece of our first car of the 21st century! Thanks to all of our sponsors and the University for helping to make this possible - especially our work space sponsor!